Our life events may cause us stress, sadness or even anxiety or depression. Therefore we may have difficulties to sleep. So today, we're help you find the right food for you to help you sleep like a baby. Cherries are a a good source of melatonin which is what helps you sleep. It ala provides your body with antioxidants and anti-inflammatory which may ease any pain for a better sleep. Chamomile tea is well known for its good effect on stressed people. It contains a chemical called "glycine" which relaxes your nerves therefore you would sleep tighter. Any other tea would be fine too. Such a delicious food is rich in vitamin B6 which is essential to help you sleep for it provides serotonin which is a hormone that regulates mood in general. Such a delicious surprise! Seeking sweets late at night? Helps yourself with some dark chocolate. It won't only Mae you feel better but also help you sleep tighter. It will eventually relax your mind. This food doesn't only contain trytophan but it's also rich in fiber and healthy fats which will help you sleep and hold your appetite for longer. Melatonin is the sleep hormone, so in order to maintain your sweetest dreams you'll need a good rich in tryptophan (an amino acid). Oatmeal such as any whole-grain food is rich in this amino acid, so you may would like to have some before going to bed. Magnesium-rich foods are also needed to help you sleep. Spinach, leafy greens and some other foods that are rich in magnesium are used to treat common sleep disorders such as insomnia. Greek yogurt helps your body produce serotonin which is a hormone for 'feeling better' mood. Therefore it will help you relax your body and mind for better sleep. You may like to add some banana to it for a better snack. Who doesn't like almonds? This food contains magnesium and some healthy fats, protein and fiber. It's true that nuts are rich in calories but a handful of it would be enough to sleep as tight. Bananas are a source of magnesium and potassium which makes it a muscle-relaxer. 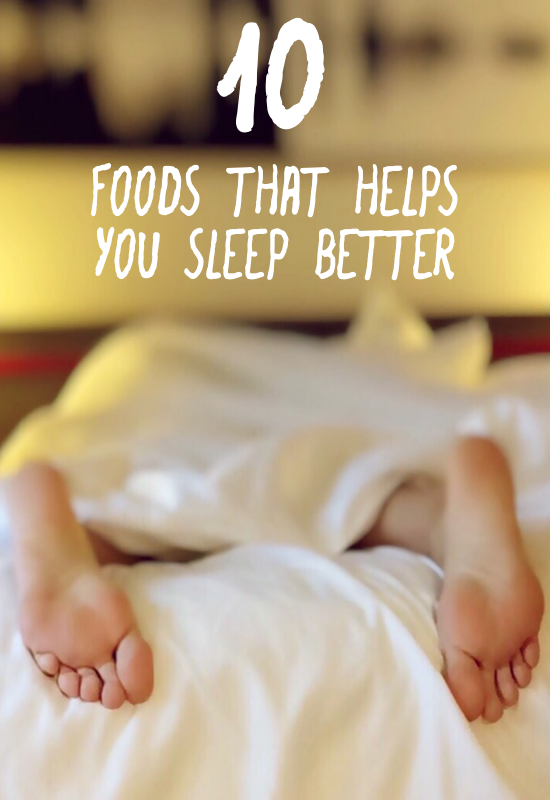 It also provides your body with sleeping hormones therefore it's the best fruit to have before going to bed. May you have the sweetest dreams.